ASLogger provides Web based call monitoring software so that you can monitor your call center, customer care center anywhere in the world. You can add bookmarks, notes, comments, tag, call rating during live call during monitoring. 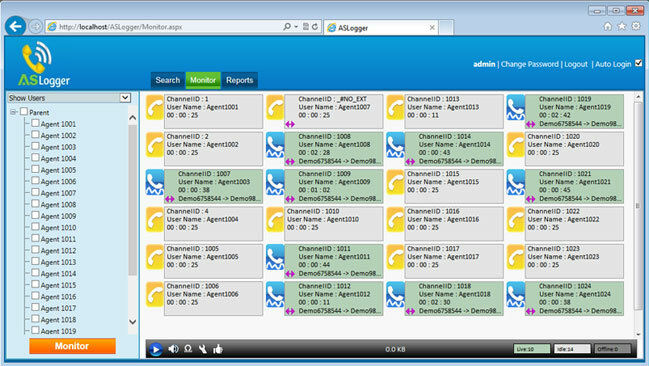 ASLogger Provides real time call monitoring services to your supervisors to improve performance of your agents. Identify staff's shortcomings that need attention to increase overall group performance. Monitor all agents' live calls from anywhere on the web using web based Real Time Call Monitoring software.